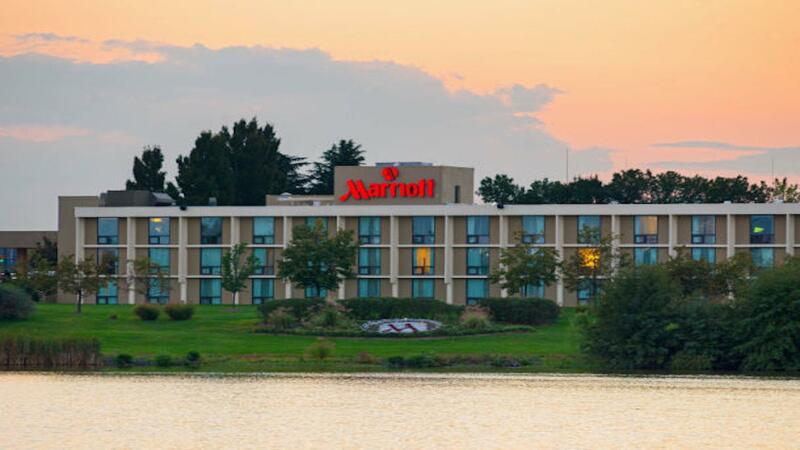 Rent Washington Dulles Airport Marriott | Corporate Events | Wedding Locations, Event Spaces and Party Venues. We offer personalized and attentive service, a full range of amenities, and outstanding cuisine to make your special day an unforgettable experience. With imagination, expertise, and panache, our planning and catering staff will orchestrate an event that is undeniably and truly spectacular. Elevate your upcoming seminar or conference with our delicious, customizable catering menus. With 6,000 square feet of Dulles meeting space, the Grand Ballroom is ideal for large events. Choose one of our smaller Dulles meeting rooms for board meetings and other intimate events. High-speed Internet and AV equipment are available throughout our meeting facilities. Our award-winning event staff will ensure that every aspect of your meeting is executed perfectly. The outdoor pavilion offers a unique ambiance and can accommodate small and large events. We’re just as excited as you are about your dream wedding. From the table settings to the moment you enter the ballroom as bride and groom, our event staff and certified wedding planners want everything to be just right.Enhance your Dulles wedding reception when you take advantage of our award-winning catering service. Celebrate outdoor events on our stunning pavilion, which offers beautiful lake views. The Grand Ballroom offers 6,000 square feet of space — ideal for larger Dulles, VA weddings. Experienced event planners will work hard to make your special day absolutely unforgettable. Out-of-town wedding guests will appreciate our spacious rooms and location near area attractions.